Make an itinerary of items to ensure they do not get lost in the move. We always recommend making a list for each individual room to simplify the process and to be thorough. For instance, pack up all the kitchen items and clearly label each box so that you can transfer very easily in the move from your old kitchen to the new. It may sound obvious, but clearly labeling boxes and ordering by room will make the moving and unpacking process much simpler. Whilst again this may sound like a very obvious tip, countless people have had serious issues on moving day as their furniture won’t fit into their new home. Measure up all items and ensure you have the room to maneuver them into place in your new home to avoid losing furniture on the day. Attention to detail is important when planning your house move. Making sure you have plenty of time to organise and coordinate all of the fine details will help you in the long run. The more time is spent planning in advance of the move, the less stressful it will be. Plan how and when you will pack, what you will need and how you will move your items. Consider also utilities and areas which will need to be addressed such as internet connections. If you plan to move in advance your provider will have more time to connect you, thus removing downtime. When planning your move one room at a time, make sure you buy enough packing supplies suitable to move the contents of each room. You will need to arrange a variety of packing supplies and boxes of differing sizes. This is to accommodate all of your items, small boxes for ornaments and bigger boxes for larger items like bedding and kitchenware. It is always advisable to buy a range of boxes and fragile tape for the delicate items to prevent damage on the day. Ensure you consider buying plenty of bubble wrap for differing items throughout the house. When packing large boxes, consider that they can be very difficult to move especially if they are full to the brim. Ensure the box is sturdy and properly secured with tape to ensure they don’t burst open and damage your items. 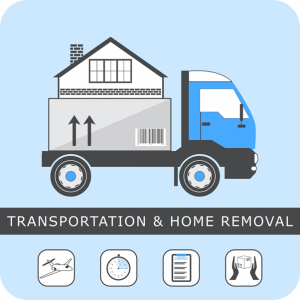 One of the most vitally important areas to cover is the actual removal of your goods. Choosing a credible company to remove and relocate your items is crucial. Always do your homework and check out online reviews before hiring someone to move your all-important goods. Check out whether the company have suitable insurance for your valuable goods and ascertain each one’s policy.